Maoist Center Chair reiterates Bandarmudhe blast greatest mistake of people's war - Integration Through Media ....! CHITWAN: CPN (Maoist Center) Chair Pushpa Kamal Dahal has again called the Bandarmudhe incident the ‘greatest mistake’ made during the people’s war (decade-long armed conflict) between the government and the then CPN-Maoist. During an interaction programme organised by the Bandarmudhe Support Committee here today, he said now he held the moral and political responsibility to work for the relief of the survivors. “Now the country has a strong government and it provides a ground for implementing the past agreements reached with the survivors,” he said, adding that works were on progress to enforce the three-point agreement he signed with the survivors during the recent election campaign. He made it clear that there is no debate regarding the decision of the erstwhile government to give the status of martyrs to those killed in the Bandarmudhe blast. The Maoist Center Chair pledged to come up with programmes of relief for the survivors. 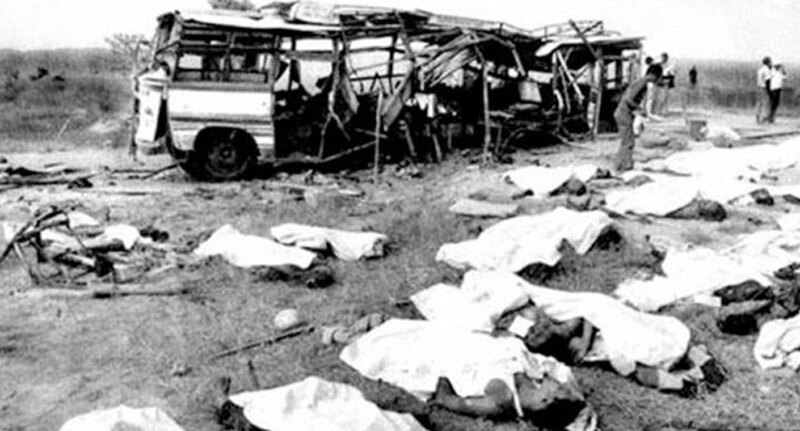 As many as 38 people had lost their lives while 72 were left mutilated in a bomb blast on a passenger bus on June 6, 2005. The bus had come under an electric ambush placed by the then rebelling CPN Maoist at Bandarmudhe of Chitwan. On the occasion, Bandarmudhe Victims’ Struggle Committee chair Mukti Neupanne, and members Maina Lamichhane and Bishwanath Poudel demanded free treatment to those injured who have been living with the effects of blast and clear information about relief assistance raised in the name of Bandarmudhe survivors. Meantime, during his interactions with people’s representatives at Madi earlier today, leader Dahal who is also the federal parliament member from here (Chitwan 3) said the Chitwan National Park had proved a ‘curse’ for the Chitwan folks. The former Prime Minister assured of his initiations to amend the National Parks and Wildlife Conservation Act- 1973 (2029 BS). He underlined the need of amending the act to provide justice to the Chitwan people.